Eyebrow drooping, often coupled with unsightly forehead lines and other facial lines, is a common concern for many patients. Premature ageing causes collagen and elastin levels within our skin to diminish, leading to facial sagging and volume loss. Consequently, it is not at all uncommon for patients to experience a drop in confidence and a significantly negative impact on overall happiness and wellbeing. Unfortunately, there is little that can be done to prevent this from happening, with some patients suffering more than others due to the genetic structure of the face as well. Fortunately, there is much that can be done to correct this issue thanks to the surgical brow lift. 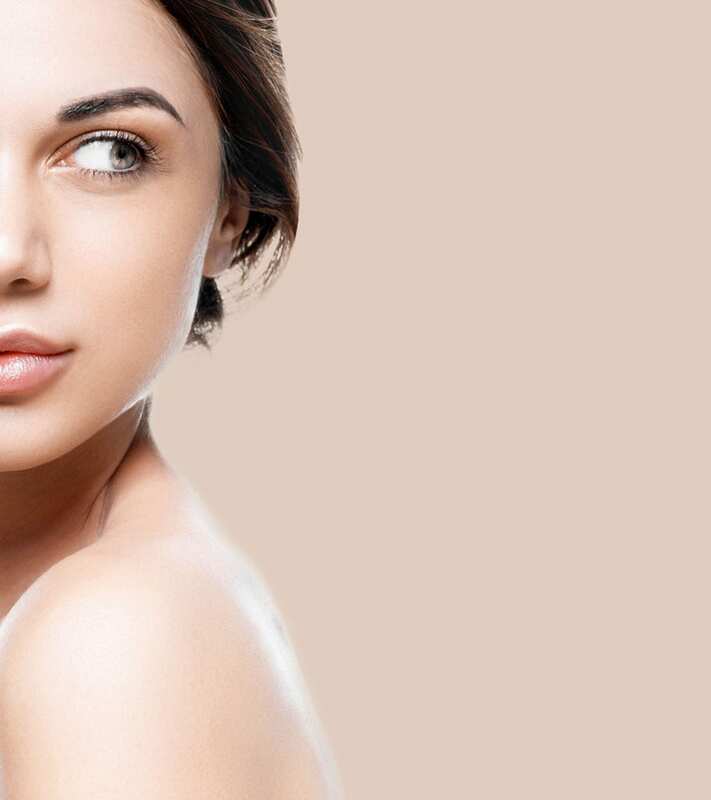 While this type of procedure primarily focuses on the improvement of drooping eyebrows and loose skin around that area, it can also offer slight improvements to surrounding facial lines at the same time. Also commonly known as a brow reshaping or an endoscopic brow lift, the procedure itself involves making an incision below the hairline under general anaesthetic, in order to lift the skin to allow for the repositioning of the eyebrows and the improvement of wrinkles and fine lines. Any excess skin is then removed before the incision is closed. Alternatively, numerous smaller incisions might be made along the scalp to allow for the insertion of an endoscope and a surgical lifting instrument to perform the same procedure in a less invasive way. A surgical brow lift may take as little as 45 minutes to an hour in most instances, dependent on the extent of your procedure. Results are very natural-looking and immediately noticeable. With that in mind, it can take up to 6 months to fully heal from your surgery and be able to see the results at their best. You should expect optimum rejuvenation of the upper face, with balanced, symmetrical features. The results of your surgery are permanent, although facial ageing will again have an affect on your skin over time. We ask that all of our patients take the time to consider such a big decision and physical change, addressing all wants, needs and concerns with your surgeon during the consultation process. It is likely that your forehead will appear tight as your skin settles and the wound heals, during which time you will also experience slight bruising, swelling, redness and discomfort. If you do find that you are experiencing significant pain, this can be relieved with either prescribed or over the counter pain relief. Excessive bleeding, blood clotting, allergic reaction and infection all remain a constant risk with surgical procedure such as this, although aspects such as this will be monitored and are unlikely. Thick and obvious scarring is a potential concern, although rare thanks to the high level of training and experience, and the advanced techniques implemented by the team at The Pabari Clinic. Some patients do experience temporary numbness of the scalp or weakness of the forehead muscle, both of which tend to subside within 6–8 weeks. In some cases we might ask that you remain in our care overnight so that we can monitor your initial progress post-surgery, after which you are free to return home, although work should be avoided for at least a week. During this time you should expect mild pain and discomfort, but be sure to rest and try propping your head up when you rest or sleep as this will reduce the swelling. Any bandages are only required for a day or two, while stitching or sutures are usually removed within two weeks. You should be capable of resuming your day-to-day activities within a week or so, while strenuous activities should be avoided for up to six weeks so as to avoid injury and allow for proper healing. Who is suitable for a brow lift? A brow lift is suitable for patients experience the signs of premature ageing around the brows as mentioned above, including drooping and wrinkling. In some cases, there may be medical reasons as to why you may not be suitable for this type of procedure, although this will be discussed and assessed during your consultation at The Pabari Clinic. Sometimes, our experts may also offer an alternative solution that we feel may best suit your needs. Following your consultation at our clinic, you will be provided with a detailed quotation for your procedure with an exact breakdown of the cost.